Book of Ra Deluxe is an upgrade of the classic version of the same title. The slot game’s them is inspired by the mysterious land of Ancient Egypt. 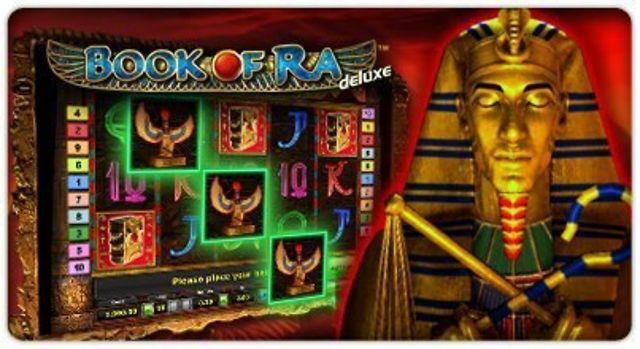 Unlike its predecessor, which is widely available in brick and mortar casinos around the world, Book of Ra Deluxe is available only inreputable online casino sites. This five-reel, 10-payline game was released in 2008 by the popular software developer Novomatic. The game has stunning graphics and several special winning features. With the Ancient Egypt adventure theme, you will have a memorable gaming experience. You will have the opportunity to explore hidden treasures as you take on the role of Indiana Jones. This slot game is amazing because of its unpredictability. Although this video slot does not come with a progressive jackpot, you can win huge prizes using the various special winning features and symbols. 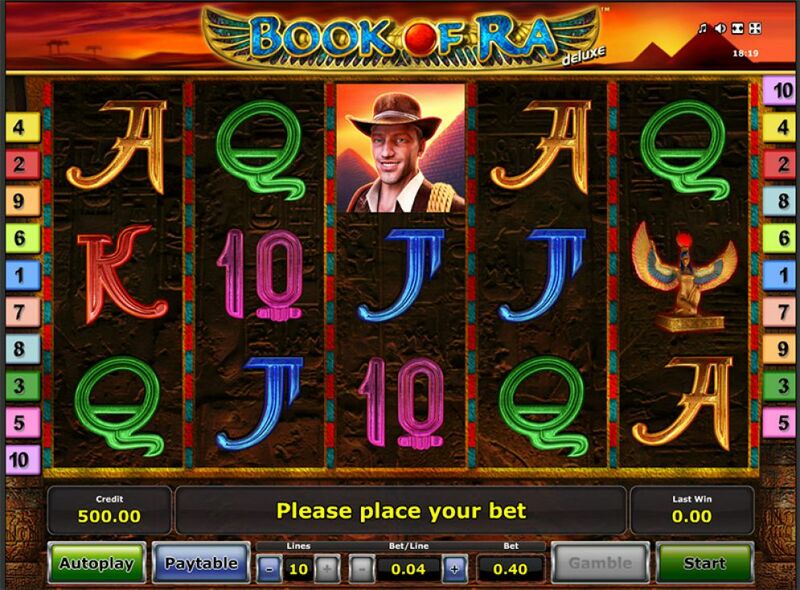 In Book of Ra Deluxe, players have the advantage of adjusting the bet per line at any time. The moment the game starts, the minimum bet will be displayed at the bottom of the screen. The coin size can be adjusted using the button indicated by +/-. Additionally, you can bet as little as 10p per spin to whopping $400 per spin. Players who choose to play total coins (50) can win as many as 500 coins in the jackpot. To increase your chances of winning, this game comes with symbols such as the wild and scatters, and with special winning features. The symbols are divided into low value and high value. Letters and numbers represent the low-paying symbols whilst the images of Indiana Jones, Pharaoh, Cleopatra, and treasures are the high-paying symbols. The Wild Symbol: The Book of Ra is the wild symbol and can substitute for all other symbols (with the exception of the scatter symbol) to form a winning combination. Landing three or more wild symbols will give you 10 free spins. Moreover, the wild symbol has the ability to convert normal symbols into expanding scatter symbols in the free spin game. This means you can hit a huge jackpot depending on the size of your bet. Book of Ra Deluxe has a simple interface with high-quality graphics and great sound effects that will take you to the mystical land of Ancient Egypt. This game features a great theme with desert colors and pyramids. The background music will immerse you in the experience as you spin the reels. The jackpot is 500 coins. This isn’t huge, but it’s still worth your time. This jackpot is awarded in different ways to players. 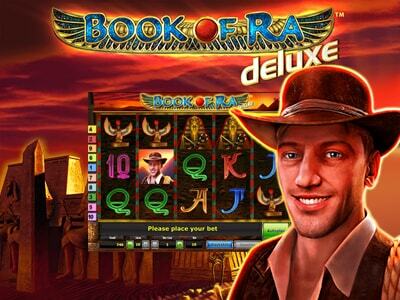 Compared to other slot games, Book of Ra Deluxe has high volatility. This can benefit the high-risk taker who is after big wins. A strange aspect of this game is the theoretical return to player of 95.10%. As mentioned earlier, the free spins feature is triggered when you land three or more books or Ra symbols. You will receive 10 free spins and a 2x multiplier to double all your winnings in the free spin games. Before these games are initiated, this symbol will indicate the number of scatters on the reels. Another exciting feature is the Gamble Round, which is activated after every win. Players have the opportunity to choose between a red or black card. If you predict correctly, your winnings will double.